It's Beginning to Look a lot like "Fishmas"
It&apos;s Beginning to Look a lot like "Fishmas"
Fishing season opens in Mono County on April 27 – an angler’s most wonderful time of year! 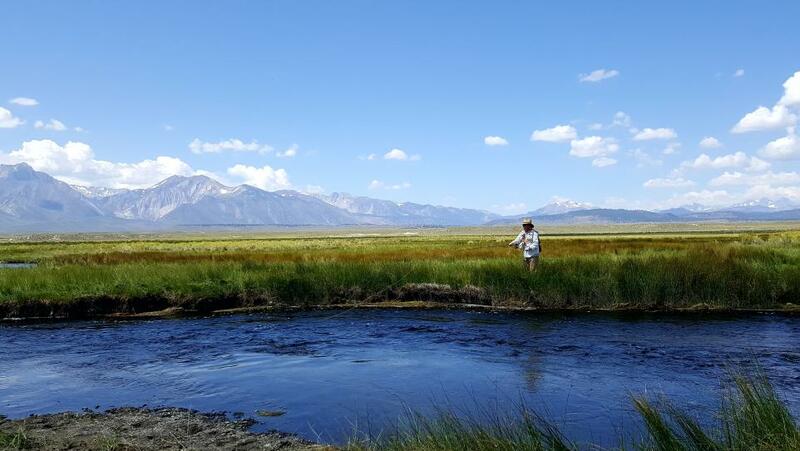 MONO COUNTY, Calif. – Eastern Sierra locals and visitors alike are gearing up for “Fishmas,” the official start to the regular fishing season on April 27. Anglers will have much to celebrate this season – lakes, streams and reservoirs will be at very healthy levels following above-average snowfall this winter. In addition, more than 600,000 pounds of trout will be stocked throughout the Eastern Sierra. Simpson recommends anglers follow Mono County Tourism’s Facebook and Instagram pages for real-time updates and conditions as the season approaches. Mono County, along with California Department of Fish and Wildlife, Mammoth Lakes Tourism, Bishop Chamber of Commerce, Inyo County, and private marina operators will be stocking over 600,000 pounds of trout throughout the Eastern Sierra. Mono County, specifically, will stock bodies of water in the region with 20,000 pounds of rainbow trout starting the second week of April. Anglers are encouraged to join the effort to keep Eastern Sierra fisheries healthy and sustainable by practicing “catch and release” - keeping only the fish they need and releasing the rest to reproduce, grow and become trophy-sized. During the regular fishing season, the general catch limit is five fish per day, never exceeding 10 fish in possession. For more information about fishing regulations, reports, or to request a free Eastern Sierra fishing map, please visit monocounty.org. Throughout the season a number of events, including derbies and fishing festivals, are scheduled – starting with the Fishmas Day Celebration at Tom’s Place on opening day, and including family-friendly events like the Mammoth Kids’ Fishing Festival, Trout Fest, and Bridgeport Fish Fest. Click here for a complete list of 2019 fishing events in Mono County. 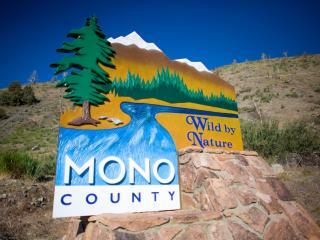 Visit MonoCounty.org to learn more about fishing in Mono County, top fishing locations, which fish can be found there, regulations, lodging, and much more.